Are you using the right types of content assets to engage your audience to generate leads and nurture them towards a sale? With so much content being produced today, it's important your content marketing strategy delivers effective content that cuts through. 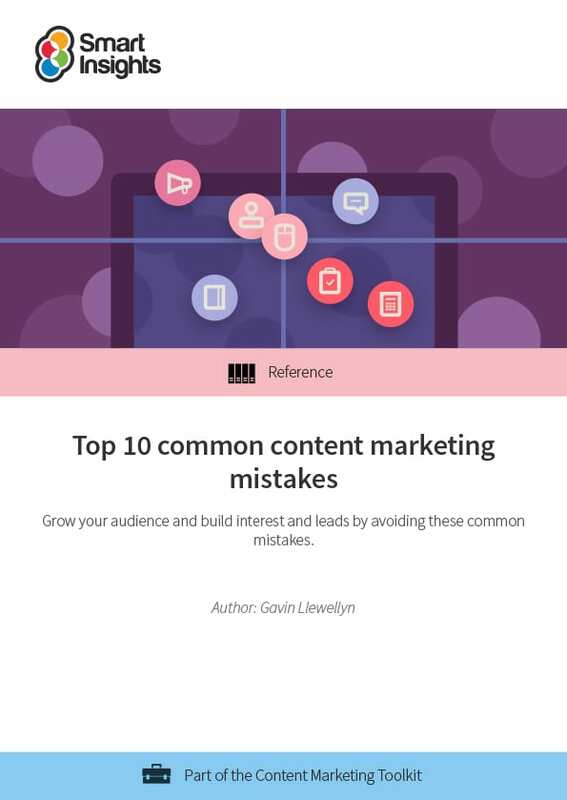 Our free content marketing mistakes guide reveals the most common mistakes, but more importantly, what to do about them. It highlights auditing tools, strategy recommendations and examples. This guide gives recommendations for marketers responsible for managing and improving content marketing who want to develop a more strategic approach. Gavin Llewellyn is an independent consultant who has worked in different marketing manager roles where he has been responsible for SEO including financial services, consumer brands and retail. He is a Chartered Marketer who specialises in digital marketing with a focus on SEO, Social media marketing and online strategy. Gavin blogs at One Too Many Mornings where he offers advice, guidance and ideas on how individuals and companies can use digital marketing effectively to get found online, build engagement and generate conversion. You can Follow Gavin on Twitter.